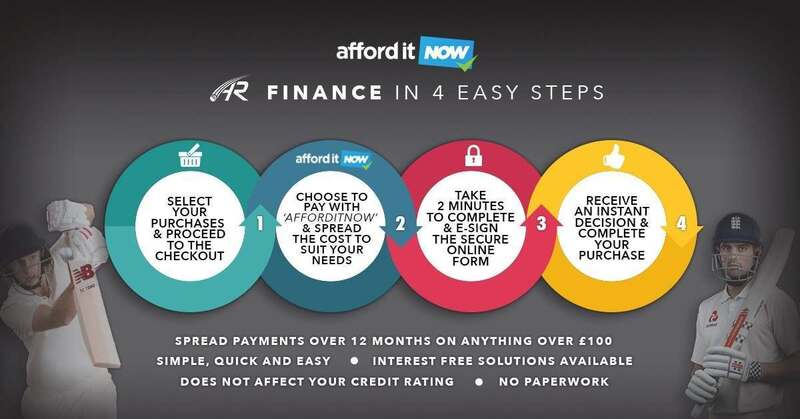 We offer afforditNOW finance on UK orders over £100, with a repayment plan for up to 12 months! We offer interest freeAfforditNow finance on UK orders above £350. Spread the cost over 6 or 12 months. Please add the items you wish to purchase to your basket and then look out for the afforditNOW logo to make an application. Will I be accepted for credit? We welcome application from retired individuals, in receipt of a private or company pension (aged 50 or over at date of application). Please ensure your application is completed accurately to maximise the chances of your application being accepted. A decision will be made based on credit history available from credit bureaus as well as using public registers such as the electoral roll. Please note that meeting the above criteria does not guarantee finance acceptance. How do I make a credit application? To start your credit application add the product you wish to buy to your basket. On the shopping basket click "Info & Apply" on the finance section then choose "Apply Now" on your chosen finance product. You will then be asked to fill out your details such as your name, address history for the last 3 years, employment details and bank details for direct debit. This only takes a few minutes and in most cases an instant decision can be returned. Sometimes decisions may need to be referred for manual checks which may only be carried out during working hours. You will be notified of the decision by email once these are complete if this is the case. If your application is unsuccessful and you have already paid a deposit this will be refunded automatically within 3-5 working days. If your application is successful you will be asked to make either a service charge of £9.99 (taken while applying with afforditNOW) or your deposit payment using credit or debit card. We will then send you confirmation of your order by email and ship your order as normal. Unfortunately we are not given a reason by the lender so we are unable to comment on individual applications. If you believe your application should have been accepted please note that sometimes applications can be declined due to incorrect information being given. Please ensure your address history is entered correctly and is the same as registered with your bank and the electoral roll (if applicable). If you have paid a deposit this will be refunded automatically within 3-5 working days. Your initial deposit is payable by credit or debit card. Once your order has been shipped we will notify the credit lender. Payments are then taken automatically by direct debit for peace of mind either after your payment holiday when using afforditNOW For more information please see your credit agreement. We can introduce you to a limited number of finance providers: We act as credit broker and not a lender. Allrounder Cricket Ltd is registered in England and Wales No.07503341. Registered office: Unit 4 Epsom Court, Bruntcliffe Avenue, Morley, Leeds LS27 0LL. Allrounder Cricket Ltd acts as a credit broker and only offers credit products from Paybreak Limited. Allrounder Cricket Ltd is authorised and regulated by the Financial Conduct Authority. Our registered number is 758353. Credit subject to age and status.